BANDO 132XL037. 13.2 inch. 66 teeth. Replaces A6R3-066037. Polyurethane Synchro-Link Timing belt. Home > Timing Belts MXL-XL-L-H... > XL Timing Belts. Trapezoidal Tooth Gear belts - 0.200" Pitch > 132XL031 Timing belt. > 132XL037 Timing belt. 13.2” Length, 66 teeth, 3/8” Wide. Bando Synchro-Link Timing belt replaces A6R3-066037. 132XL037. 13.2 inch Length. 66 teeth. 3/8” (.375 inch) wide. Replacement “XL Series” and A6R3 industry standard Timing Belt. 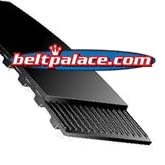 Popular replacement belt for electronic equipment and power tools such as power sanders, water pumps, and robotic equipment. 132XL100 Timing belt. Industrial Grade. 132XL100 Timing Belt (HTD). 13.2” Length, 66 teeth, 1” Wide. 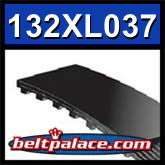 Neoprene HTD 132XL-100 Timing belt 132XL-100. Industrial Grade.